A change to the Florida Rules of Civil Procedure that took effect on January 1, 2012, has significant implications for the future of all mediations in Florida, including mediation proceedings involving community associations. The Florida Supreme Court recently ratified a significant change to the state’s mediation procedures found in Rule 1.720 of the Florida Rules of Civil Procedure. The new rule now requires that each party (or its representative) that appears at the mediation proceedings must have the “full authority to settle.” This means that the party or representative must be the final decision maker with respect to the issues presented at the mediation and must have the legal capacity to enter into a binding agreement on behalf of the party. A major impetus for this change has been the problems stemming from bank foreclosure mediations. Generally, banks and their servicers in these cases have sent to mediations an individual who did not have the authority to approve a settlement, or worse, would have such individual appear telephonically. Further complicating the problem is the fact that oftentimes several different departments within a bank may be required to approve a proposed settlement, and fewer than all of these departments attended the mediation. The change in the rule forces the banks and their servicers to send to mediation their agents who have the complete authority to consider and authorize a settlement with no additional consultation. Under the amended rule, each party must file a Certification of Authority at least 10 days prior to appearing at the mediation. 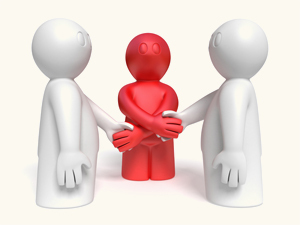 The certification must identify the person who will be attending the mediation and must further confirm that this individual has the full authority to settle the issues raised at mediation. In other words, the person identified must be the “final decision maker with respect to all issues presented by the case who has the legal capacity to execute a binding settlement agreement on behalf of the party.” Sanctions may be imposed for the failure to file a Certification of Authority or the failure of the individual(s) actually identified in the certification to appear at the mediation. These sanctions can include awarding the opposing party its attorneys’ fees and costs. This amendment to Rule 1.720 applies to all mediations within the State of Florida, but it will likely have a great impact on the manner in which community associates handle mediations. Traditionally, community associations have sent the association president, property manager or a designated board member(s) to attend mediations, and these representatives would reach only a tentative settlement at the mediation, which the entire board of directors would need to approve or reject at a later date. Under the rule change, this approach is no longer acceptable. The community associations must now either have a quorum of its board appear at the mediation or send a representative who has been pre-authorized by the board to accept a settlement that meets certain parameters that have been pre-approved by the board. The appearance of such individuals at mediation could arguably be considered a board meeting, and therefore should be noticed, albeit as a privileged meeting at which the association’s legal counsel should be in attendance. Alternatively, if a quorum of an association’s board cannot attend the mediation, it will be imperative for a duly noticed board meeting to be held in advance of the mediation in order to vote on the settlement terms that the association is willing accept and whom they will authorize to attend. Of course, the individual(s) who attends the mediation on behalf of the community association will continue to be able to reject any settlement offers at the proceeding. Simply rejecting a proposed offer does not, by itself, indicate that the attendee lacks the authority to settle. However, they must also be able to accept a settlement without the need for a subsequent final review and approval by the board. As community associations often utilize mediation either as a prerequisite to litigation or as a means to avoid costly and prolonged litigation, this rule change has very significant implications for all of the community associations in the state. This rule change should help to make mediations in Florida more effective and expeditious for community associations and all others who take part in these proceedings. Our South Florida community association attorneys have helped many homeowners associations and condominium associations use mediations to find fair resolutions to various types of lawsuits and disputes. We will continue to write about these and other important matters for associations in our blog, and we invite association members, directors and property managers to submit their e-mail address in the subscription box on the right in order to automatically receive all of our future articles.